Special Events and Holiday Reservations will require a deposit for all reservations. 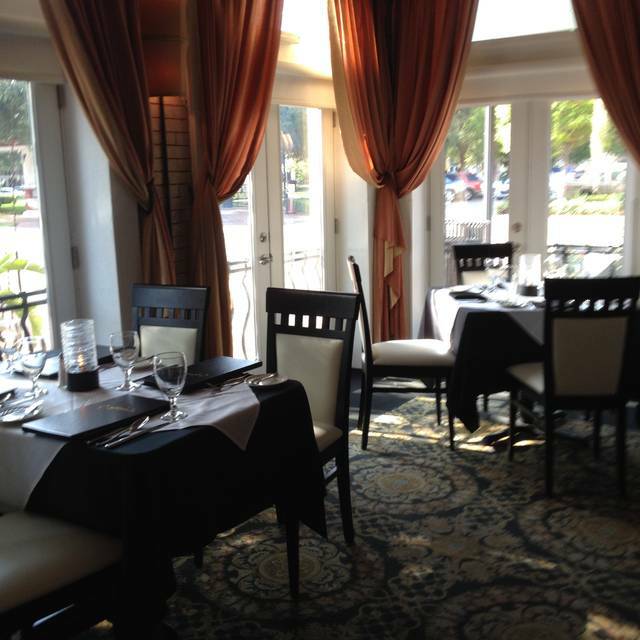 Welcome to Arabellas Ristorante, located in Time Square, the heart of historic downtown Winter Haven. We offer the best Italian and Mediterranean cuisine, created from the freshest ingredients and served in a warm, elegant atmosphere. •	The day of your reservation, please let a representative of Arabellas know in advance should you be running late by calling (863)293-1797. •	Please note, your reservation will be held for 15 minutes from the time of the original reservation. Without notice of late arrival, Arabellas has the right to release the table. •	Special Events and Holiday Reservations will require a deposit for all reservations. Tomatoes, garlic and basil served with toasted bread. Traditional fried calamari with spicy marinara sauce. Fresh buffala mozzarella and sliced tomatoes with olive oil and balsamic glaze. Traditional greek salad with feta cheese, kalamata olives, tomatoes, onions, cucumbers, carrots and pepperoncinis in a Greek vinaigrette dressing. Crisp romaine lettuce tossed with caesar dressing, croutons, parmesan cheese, and topped with grilled chicken. Fresh baby greens with onions, tomatoes, carrots, toasted almonds, gorgonzola cheese and blackened shrimp topped with raspberry dressing. Fresh spring mix topped with sesame crusted ahi tuna and wasabi vinaigrette dressing. Tomatoes, onions, cucumbers, and carrots with white zinfandel dressing and croutons. Fresh mozzarella, sliced tomatoes and eggplant with pesto sauce on multigrain bread. Fresh roasted turkey and bacon with lettuce, tomato, and mayonnaise on toasted multi grain bread. Capicola, prosciutto, salami, and Swiss cheese on ciabatta bread with lettuce, tomato and mayonnaise. Prosciutto Di Parma and roasted bell peppers, olive oil, and balsamic glaze on ciabatta bread. Breaded chicken cutlet baked with parmesan and mozzarella cheeses and marinara served with pasta. Marinated chicken breast grilled and served with roasted potatoes and vegetables. Sautéed​ chicken breast with sundried tomatoes, olives, onions and feta cheese in a cream sauce. Grilled​ fillet of salmon with vegetables and roasted potatoes. Grilled​ 10oz Sirloin filet with vegetables and roasted potatoes. Eggplant lasagna baked with parmesan and mozzarella chesses and topped with marinara sauce. Penne pasta tossed with white wine, fresh vegetables and our marinara sauce. Cheese​ tortellini with ham in a parmesan cream sauce. Fettuccini pasta sauteed in a parmesan cream butter sauce. Penne with tomato meat sauce. 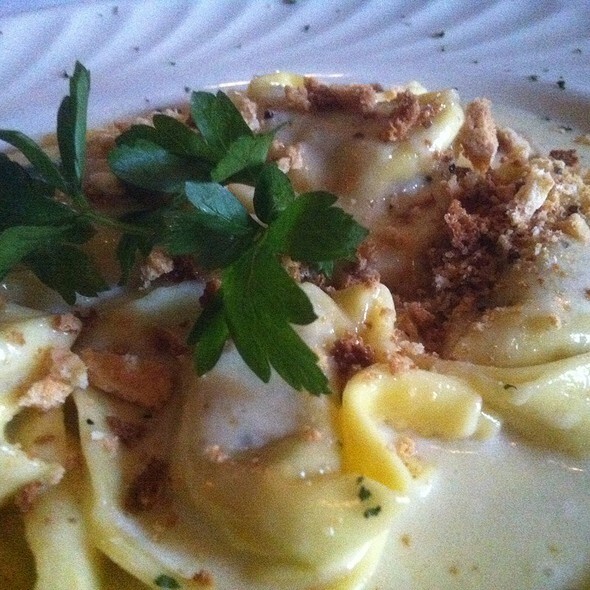 Potato dumplings sautéed with gorgonzola cheese and cream. Shrimp sauteed in white wine, garlic and butter served over linguini pasta. Food and hospitality were excellent. Service between courses were slow. Great food and service. It is very pricy but one of the better restaurants in the area. Good mood, friendly people and the food quality overall is very good. Great place for a romantic dinner or just a treat. Special place in Winter Haven. Highly recommend. Enjoy your evening. Wonderful experience! My wife and I had a wonderful evening celebrating our 10 year anniversary! The food was marvelous. The wait staff was attentive. I love this place. Please see my review on Trip Advisor. I'd just as soon not rewrite it. Thank you. 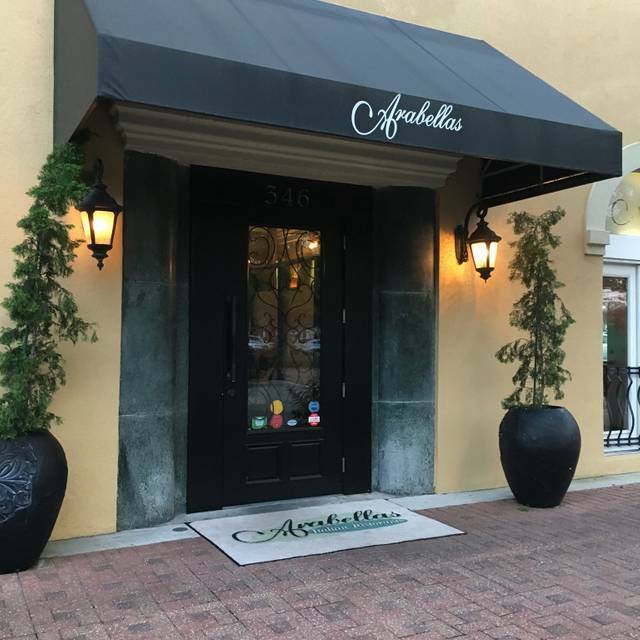 We came to Arabellas for our anniversary and had the most amazing experience! The service was beyond anything I've had at any other comparable restaurant. The food was also amazing with large portions. They even gave us a free dessert because it was our special day!! Great Food & atmosphere. Would definitely go again. Nice to have something a little different than your average chain.. They take the time to personalize the service to your event. Great offerings like tablesude Caesar Salads and Bananas Foster! Piano player to enhance the ambiance. Long experience about 2 1/2 hours for dinner timed very nicely. My only complaint is that the noise level was very loud! I had a hard time hearing my boyfriend across the table. 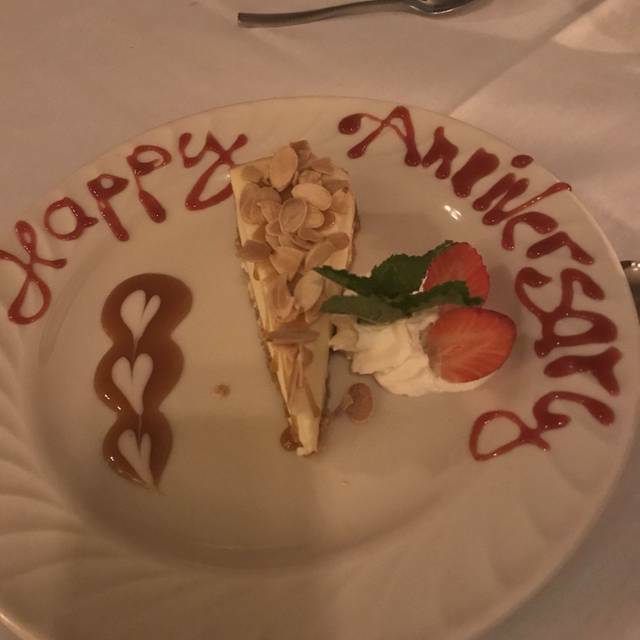 We highly recommend this restaurant to all our friends/family, my daughter and son in-law celebrated there anniversary last week with you and loved it as well! Excellent food, friendly staff, warm environment, lovely entertainment. Table-side Caesar was delicious. All of the food was superb. We have never had anything that is less than excellent for service and food. We go here for lunch occasionally when we go to Legoland on weekdays. Excellent food and service. The dress code is business casual, but they allowed some people in with their best gym shorts and printed tee shirts. If you don't mind the beach front bar look of the patrons on Saturday night, then the food and service may be worth it. The veal was bad and the chicken was tough. Over all a good experience. We will definitely do it again. A very nice place. Great place to celebrate! Very romantic with the piano man playing your every request and as always the service is wonder. Excellent service, food and overall experience. 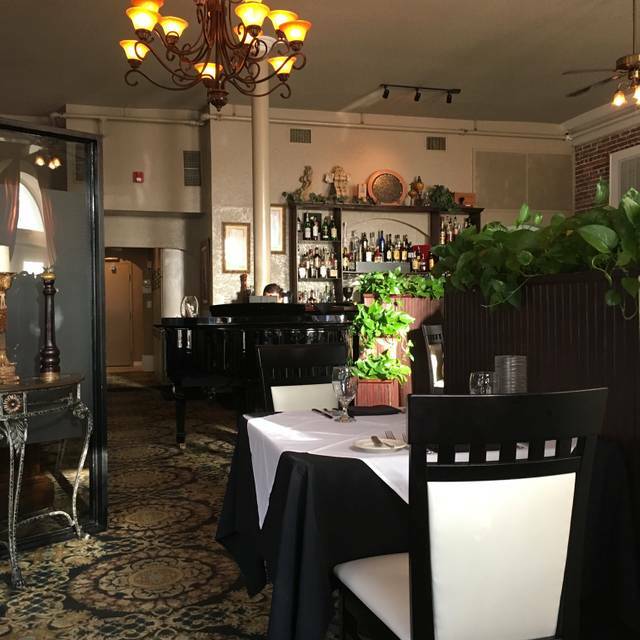 Arabella's provides an intimate atmosphere with a classy, yet relaxed experience. It is obvious that the chef creates the dishes with passion. We are long time faithful customers and will continue to choose Arabella's as our dining preference. My wife and I celebrated our anniversary here and everything was absolutely amazing from the time we arrived until we left. We had no idea this place was in Winter Haven and look forward to returning. This establishment has recently changed hands and we were anxious to experience the current status. The good news is that little has changed. The food was still excellent as was the service. Happy to be able to give this good review as we had reports of a decline in what has long been a favorite spot. Our only complaint is that one must accept a fairly high noise level, particularly when they're fully booked, as is often the case. Please, Arabella's, keep up the high standard. And oh, Christopher's piano was as good as ever. Although the quality and presentation of the food was good it’s just overpriced. The service was as good as you could ask. Dining room tended to be noisier than it should be. Suggest lunch be tried before going for dinner. Arabellas was a delightful evening with my husband and close friends. The tableside Steak Lady Diana was amazing... dinner and a show! Wonderful food, wine and server Vinny was great! Fabulous service and the food over the top as always. Excellent service and excellent food! We went for my wife’s birthday celebration and thoroughly enjoyed it. We ate at Arabella's on my birthday in March. The restaurant was filled with guests yet somehow it was still very quiet and very elegant. I love that they have a piano player there who takes requests, and he came over to our table and played "Happy Birthday" to me while playing an accordion. Our drinks were perfect, the appetizer was delicious, and both of our meals were prepared to our liking. Dessert was made extra special with a lit candle and raspberry drizzle. 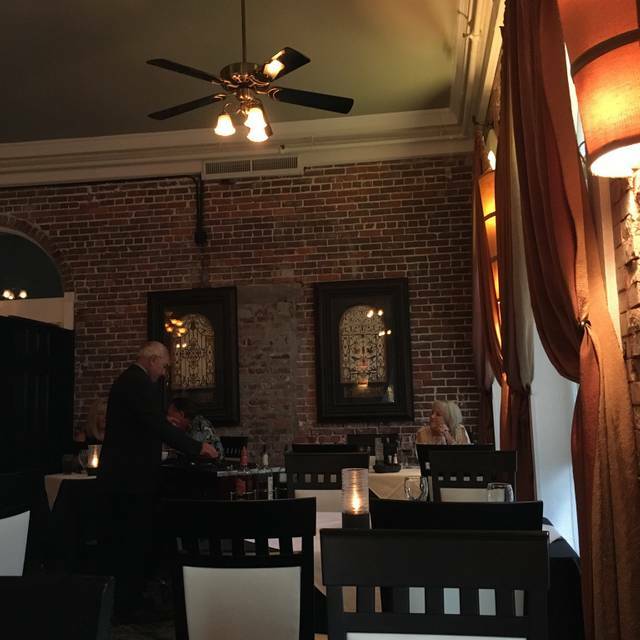 Arabella's always makes our dining pleasurable! Love having lunch at Arabellas. It's so pretty inside and the servers are very attentive. The food is always good and so plentiful we always take some home. This visit was for a birthday lunch and we were given a complimentary piece of cheesecake topped with a candle, which was quite unexpected but much appreciated. Will definitely be back. Fine dining in downtown Winter Haven. Service was attentive and the meal was delicious. Piano player added a nice touch to the overall experience. Will definitely be back. I have already recommended Arrabellas to several people here at Winterset. 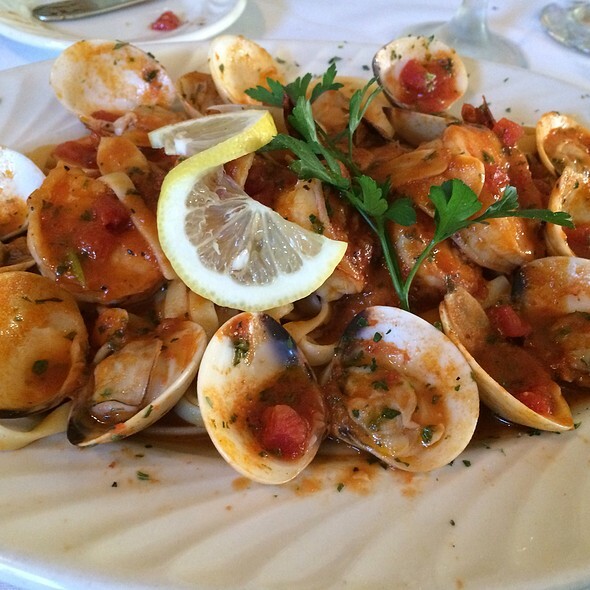 It is truly the best dining experience we enjoy in Florida, and tops our favorite restaurant in Connecticut as well. 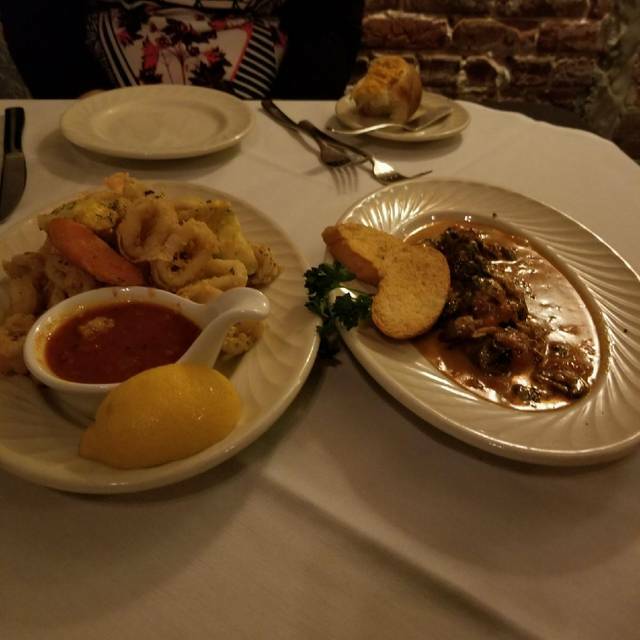 We always enjoy/savor every bite; the service is outstanding and I absolutely LOVE the piano music and enjoy hearing our favorite requests. Thank you, Don't ever change a thing. Was excellent. Trent did an excellent job and his recomendations were super. We would only recommend that if there are couples and they have alcohol in their system already I would recommend seating them away from others that are trying to have a nice dinner. Makes it quite difficult to enjoy the rest of the dinner with noise being right in your ears. Loved the pianist he was awesome. Ok well the food had so much salt in it. Also there was way too little sauce and dry. Not the best. Went after reading rave reviews and disappointed also $9.50 for a small glass of wine at lunch is crazy. No don’t believe all the reviews pretty place but food is not the best. We had lunch here and it was good. Service was very good. Pricing is in line for a nicer Italian restaurant. Nice location in downtown. Very nice restaurant, we were visiting the area went back twice. Ribeye was excellent! Nice music! Was an absolutely wonderful evening at Arabella's to celebrate our wedding anniversary. 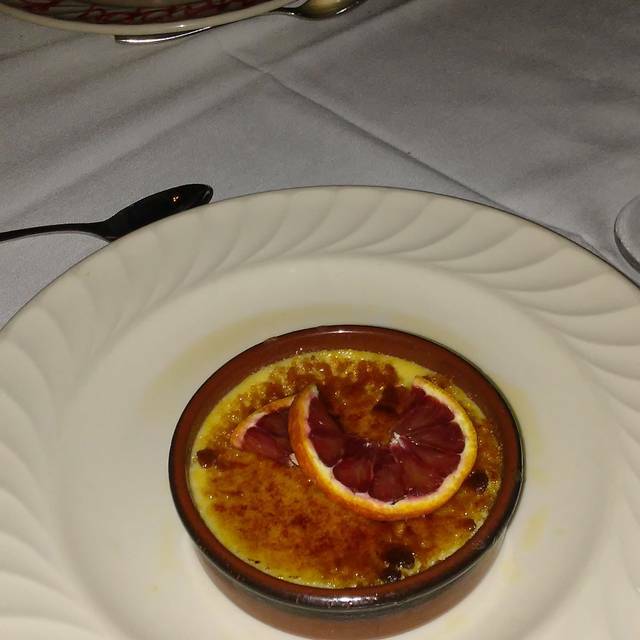 We will definitely go back again & recommend it for an upscale & elegant evening out.